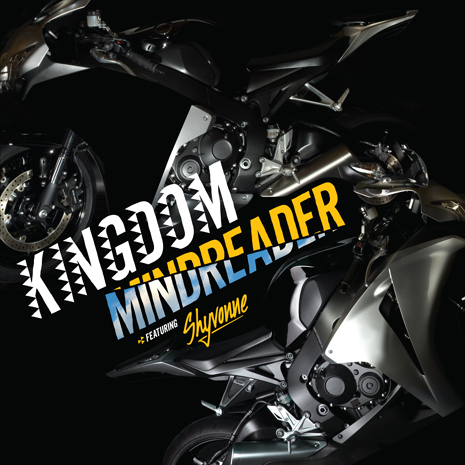 Kingdom "Mind Reader" Out Today! Internets rejoice! “Mind Reader,” the amazing, long-awaited debut single from Kingdom finally drops today. Buy it on iTunes, Beatport, Turntable Lab and everywhere else fine digital music is sold. It features the inimitable vocals of Shyvonne, an amazing set of remixes from Todd Edwards, L-Vis1990 and Bok Bok, and b-side banger “You.” 12″ vinyl is on it’s way, meanwhile you can grab the limited edition 10″ (with “Mind Reader” and “You”) from Acephale. Check Kingdom at Fabric this Friday as part of the Fool’s Gold takeover. More soon!